You have crash-landed on alien ocean world, and the only way to go is down. 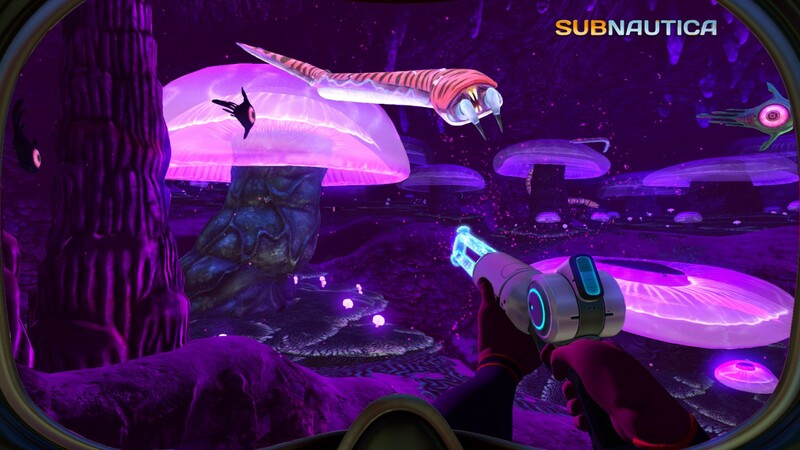 Subnautica's oceans range from sun drenched shallow coral reefs to treacherous deep-sea trenches, lava fields, and bio-luminescent underwater rivers. Manage your oxygen supply as you explore kelp forests, plateaus, reefs, and winding cave systems. The water teems with life: Some of it helpful, much of it harmful. After crash landing in your Life Pod, the clock is ticking to find water, food, and to develop the equipment you need to explore. Collect resources from the ocean around you. Craft knives, lights, diving gear, and personal water craft. Venture deeper and further form to find rarer resources, allowing you to craft more advanced items. Build bases on the sea floor. Choose layouts and components, and manage hull-integrity as depth and pressure increase. Use your base to store resources, park vehicles, and replenish oxygen supplies as you explore the vast ocean. What happened to this planet? Signs abound that something is not right. What caused you to crash? What is infecting the sea life? Who built the mysterious structures scattered around the ocean? Can you find a way to make it off the planet alive? The ocean teems with life: Use the ecosystem to help you. Lure and distract a threatening creature with a fresh fish, or simply swim as fast as you can to avoid gnashing jaws of roaming predators. Build a Pressure Re-Active Waterproof Nanosuit, or PRAWN Suit, and explore extreme depth and heat. Modify the suit with mining drills, torpedo launchers, propulsion cannons, grappling hooks and more. As the sun goes down, the predators come out. The ocean is unforgiving of those caught unprepared in the darkness. Areas that are safe to explore during the day become treacherous at night, but also reveal a beauty that those who hide from the darkness will never see. Cave systems wind below the sea bed, from dark claustrophobic passages to caverns lit by bio-luminescent life and burning-hot lava flows. Explore the world below the ocean floor, but watch your oxygen levels, and take care to avoid the threats lurking in the darkness. Get weekly or daily updates, see what the development team is working on, view real time change logs, and give feedback from inside the game. 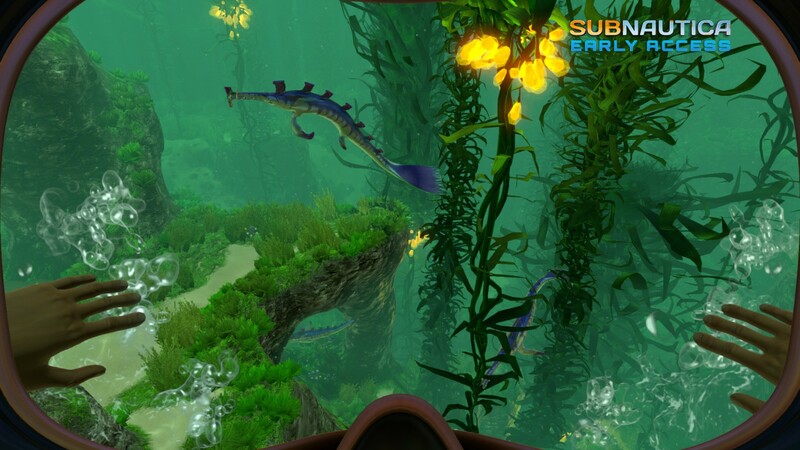 Subnautica Early Access development is open, and the development team wants to hear from you. 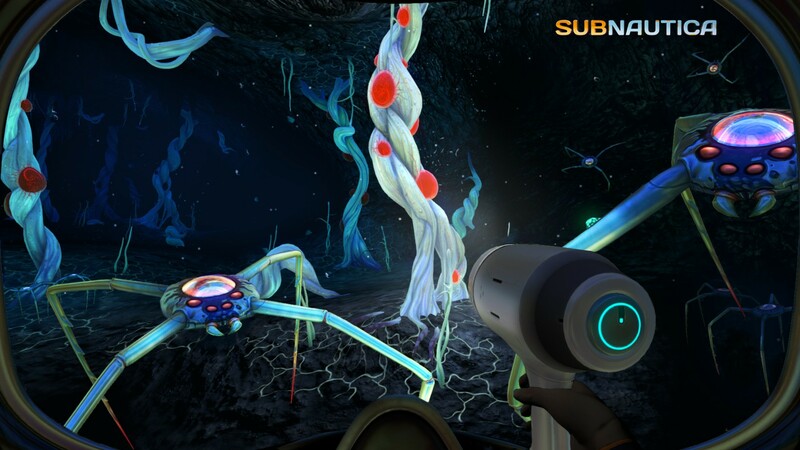 Subnautica is being created by Unknown Worlds, a small studio founded by Charlie Cleveland and Max McGuire that traces its roots back to the 2003 Half-Life mod Natural Selection. The team is scattered around the globe, from the United States to the United Kingdom, France, the Czech Republic, Russia, Thailand, Australia, and many more places. There is a central office in San Francisco, California that serves as home base for the whole team. 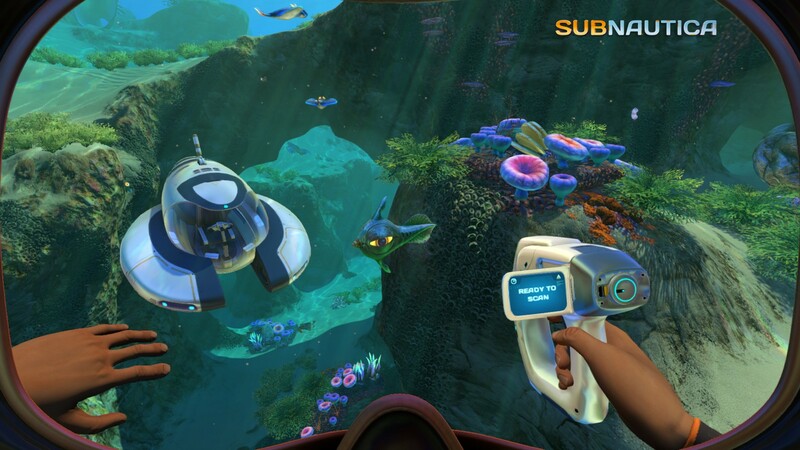 Vuoi pubblicare qualcosa su Subnautica? 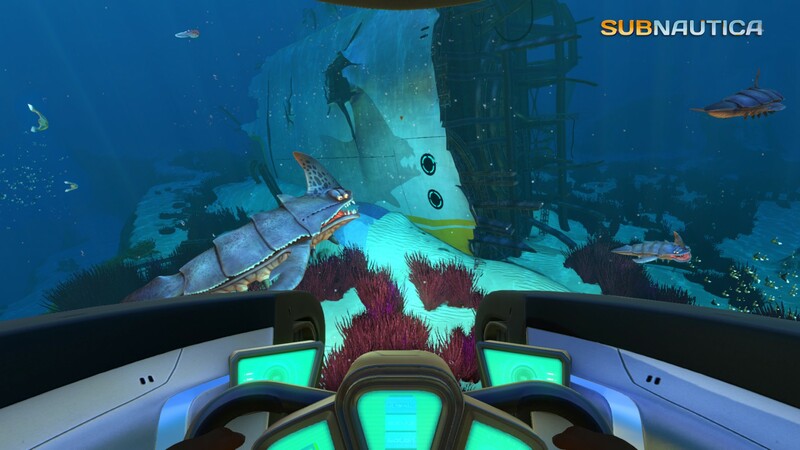 https://unknownworlds.com/subnautica/below-zero-seatruck-update?k=3 The first major update to Subnautica: Below Zero, and underwater adventure game now available in Early Access. A chi interessa stanno mostrando la versione Early Access di Below Zero, l’espansione stand alone di Subnautica. 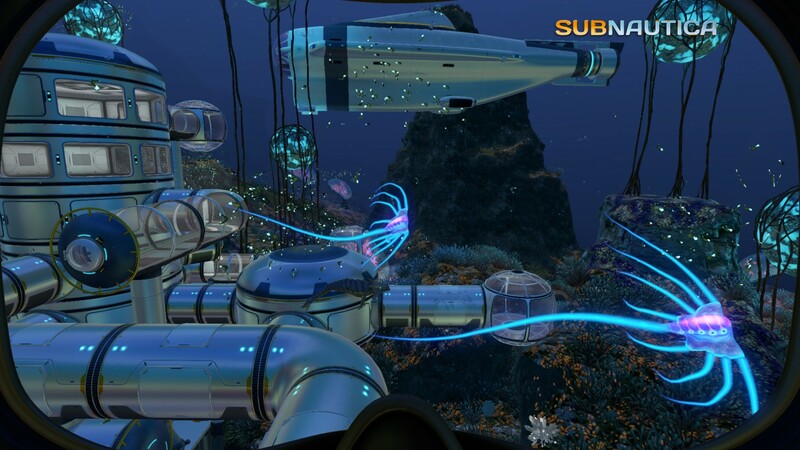 You are invited to a special Subnautica livestream event. Join us as we unveil the Below Zero Early Access trailer and release Early Access on the Epic, Steam, & Discord stores. Follow me on Twitter- https://twitter.com/Thefearalcarrot Support The Architect of Games on Patreon- https://www.patreon.com/ArchitectofGames It's St Valentines day! And in the spi..
Purtroppo uscirà prima in early access, ma se non si dovrà attendere 4 anni per la versione completa come fu per il primo prevedo altre 100 ore di esplorazione da infognanento. Subnautica Below Zero - Exclusive Leaked Gameplay! - Subnautica Below Zero Start Mission - Gameplayeplay 😃 𝗦𝗨𝗕𝗦𝗖𝗥𝗜𝗕𝗘 ► http://bit.ly/SUB2ANTHOMNIA | ★ PREVIOUS EP! ► Youtube.com/An..